2 Bedroom Terraced House For Sale in Middlesbrough for Offers in the region of £34,950. Bridgfords are delighted to offer this exciting buying opportunity in Teesside's main investment area. 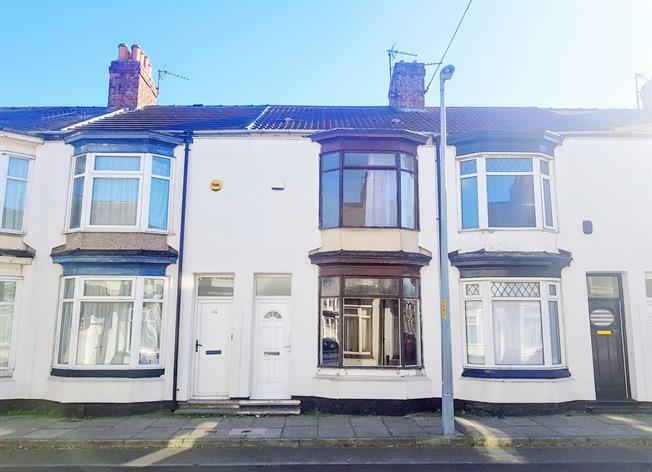 This two bedroom property lies on a quiet street but is perfectly placed to house the students of the increasingly popular Teesside university and to employees of the vibrant town centre in a very affluent rental area. This property is priced to sell and is sold with no onward chain and would make an ideal purchase for a first time or experienced investor. This property is a short walk to local shops and amenities and Middlesbrough's main attractions. This property has superb potential and we recommend early viewing to avoid disappointment. Please contact Bridgfords on 01642 227 827.